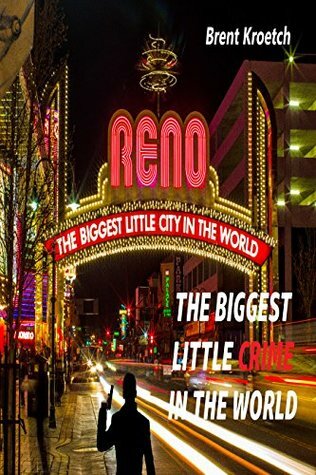 The Biggest Little Crime In The World is the third book in the popular Ham McCalister Series and follows the lives of two Las Vegas Homicide detectives turned private eyes. What was your inspiration for the setup of the story and how did that help you create the ending? This one flowed naturally from the book before. Although each is written as a standalone so that they may be read in any order, the ending of each at least hints at the start of the next. In this case, the wedding between Drew and her beloved superstar was foreshadowed and thus the book began as such. And that led to the story arc, a rather natural extension of the characters and their responses to life, incidents both good and bad. 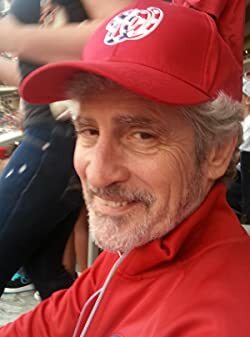 The denouement arose from the investigation and, though the why and the who were a surprise to me, the ending was at least partially suggested by the plot outline developed before writing began. And it did tie nicely to the series, I am pleased to say. I love this question because it’s the foundation that makes writing such an enjoyable endeavor. The answer is that in this book, as in each I’ve written, the players never cease to surprise me. They say and do as they please, and take the plot in directions I had not anticipated. That despite the rather extensive plot and character outlines. It’s so much fun to run the other way from that which was anticipated. In sum, the characters act it out and they and they alone dictate the plot development. I love the dynamic relationship between Drew and Ham. What were the morals you were trying to capture while creating your characters? Drew and Ham are complicated by their exposure to the underside of life. As homicide detectives for the Las Vegas police department, they saw and experienced more that most of the underbelly of society. Both are imperfect characters in that both are inherently honest and rigidly law and order, yet both are not above bending the rules when the circumstances, as they see them, warrant the dishonesty therein. And both struggle with that dilemma, the eternal battle between that which we see as ideal and that which we refuse to allow, no matter the moral cost. It is a constant struggle for both, as each seeks truth and justice, rewards for their efforts, conviction of the guilty and protection for the innocent—this while refusing to bend to niceties when evil rises before them. Erasing evil, to the both of them, takes precedence over a simple genuflect to the rules. The next book is The Curious Case Of Ham On Wry. It follows Ham and Drew as they try to exonerate their client, U.S. Representative Harold Wry from a charge of murdering his Washington intern. I expect the book to available sometime next summer. That very day Ham McCalister had walked his dearest friend and business partner, Drew Thornton, down the aisle to wed her rock superstar betrothed, Russ Porter, one of the frontmen of the legendary band Truckee River. In that happy moment, what neither he nor Drew could have foreseen was the sudden tragedy that would greet them on the streets of Reno, mere minutes after the wedding bells chimed. For there, under that iconic arch, Russ Porter falls victim to an assassin’s bullet, along with an unknown second casualty. While Russ is tended to at Reno’s finest medical center, by the state’s finest physicians, Ham and Drew race to uncover the who and the why behind the unspeakable evil unleashed in the aftermath of the wedding of Drew’s dreams. And then exact a revenge that she will personally inflict. What they find, what they don’t’ expect, what they finally uncover, is The Biggest Little Conspiracy In The World.